The question we are most asked by North Americans who have interest in our work is “How do we choose our students?”. 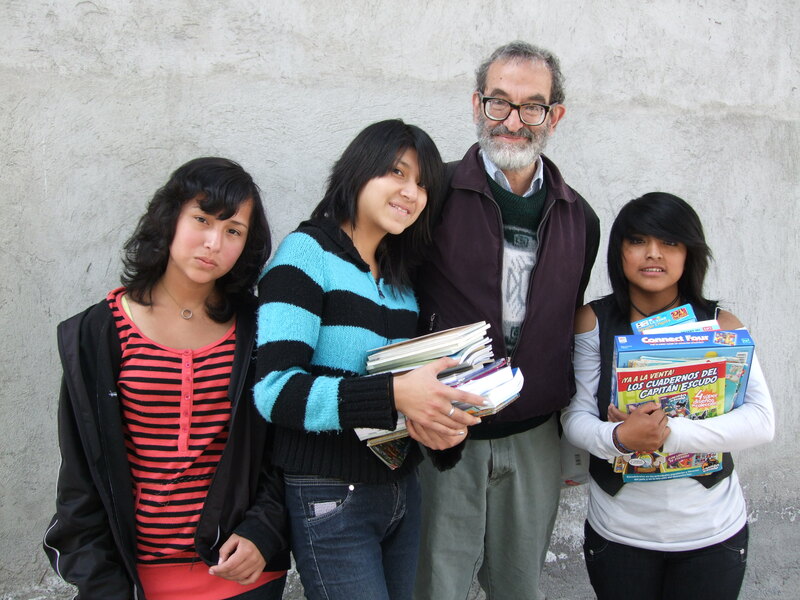 The answer is that our students have attended and graduated from the Working Boys’ Center in Quito, and we (Maggie and Mike) have lived and worked there as teachers for much of the past decade. We are very much a part of this community and thus we have the opportunity to observe and interact with prospective students on a near daily basis for a number of years. We know well, in almost all cases, the families of the students who we select. We have seen daily patterns of behavior, how students cope with stress, how they respond to criticism, and how consistent they are in the pursuit of their long-term goals, and what barriers or special difficulties they must confront. We are not just reading application forms or giving thirty minute interviews. We know that it takes a great deal of intelligence, perseverance, and resilience to survive in higher education in Ecuador. So we look for and try to cultivate the qualities we know are essential to students here. When students graduate from the Working Boys’ Center, they still must complete three more years to receive a high school degree. Our challenge is to keep track of these very good students; so we encourage them to meet with us regularly while we are in Quito. As graduation nears, we help students prepare for the national university entrance exams by offering the opportunity to take classes in a good test preparation academy. So our goal during these years is to maintain contact, and give appropriate help and mentoring. Students who arrive at high school graduation with excellent records and who have done well on the national entrance exams can then apply for support from our foundation. We have a standard application form, which asks for a high-school transcript and other standard information. But by the time we reach this point with a student, we typically have many years of experience to draw from in reaching a decision. University graduation rates in South America are around 25%; so we need to choose carefully to avoid wasting time and money. To this point, we have not lost a single student. Three people out of three have graduated. It is unrealistic to think we can have 100% success, but since our choices are based on extensive knowledge of the students we choose, it is not unreasonable to think that the great majority of our students will be successful.